Peter Lipman (right), the Chair of Transition Network, introduced the day, stating that the initial idea and framing for the day came from Eva Schonveld who had asked what can we do in Transition to best prepare for times of rapid economic change, should we do things differently, or more of the same? He also referred to the debate I had had a couple of years ago with Richard Heinberg about the extent to which we should be preparing for collapse or for a more gentle descent. He mentioned how in ‘In Transition 2.0’ the stories from New Zealand and Japan showed how when things became very difficult, Transition was one of the pieces of the solution that they turned to. Might this offer us a clue to Transition’s future role, he asked? He compared climate change and economic volatility, saying that ultimately, economic crisis is nowhere near as dangerous, in the long term, as climate change, but when there’s no money, if cashpoints no longer work for example, then the impacts of that could be catastrophic in the short term. How, he asked, do we bring the implications of financial volatility into our lives, and how to we feel about them? (The complete framing statement for the day can be found at the end of this post). The first speaker was Tony Greenham of new economics foundation (here are Tony’s slides). Initially, he said, money was just a way of people recording debts. Money is a social relationship, a recording of relationships of credit and debit. 1 in 3 people believe that when you deposit your money in a bank it is locked in a safe below the bank, and this money is then lent out to other people, but this is not what happens. Banks create new money into existence when they lend it out. There are 2 kinds of money, he said. Central bank reserves, and commercial money made by banks, which is the one that accounts for 97% of money. Central bank money is what banks lend between each other, and commercial money is now shrinking as the amount of money in circulation shrinks. Who, Tony asked, has benefitted from the growth in the amount of commercial money in circulation? The top 1%. The lower earners haven’t had much gain at all. This very small group holds all the money, the rest of us hold the debt. 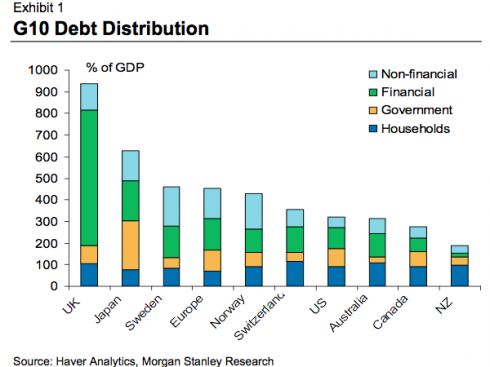 Although the UK has a sense that it is somehow immune to what is happening elsewhere, he showed a graph from Morgan Stanley which showed the UK having the most debt in the world, the majority generated by the financial sector (see below). The government, he said, are not on top of this, debt is a blind spot. There are 4 ways to tackle the debt crisis. The first he outlined is to pay it back, the current strategy of ‘austerity’ However this requires increases in real income, economic growth or a redistribution of wealth which isn’t going to happen. The second is to default, which is one approach but the implications of it would be horrible. The third would be a slow default, with inflation and financial repression, or lastly a debt jubilee combined with debt-free money produced by the state, or by the people themselves. The second speaker was Molly Scott Cato of the Gaian Economics blog, who is the Green Party’s spokesperson on economics (here are her slides). She stated that although Transition has been great at creating the pieces of the puzzle that people can pick up when things get difficult, it is not yet part of the wider mainstream debates. What we are seeing, she said, is that the economic crisis is causing a decline in concern about the environment. 37% of people in a recent poll believe that environmental concerns are exaggerated. It has also been shown that the richer you become, the more your carbon footprint grows. She said that she wasn’t a fan of the term ‘peak money’, because ‘ peak oil’ refers to a fixed resource, and it isn’t helpful to see money like that. We need, she said, to determine between real commodities and fictional ones. What we need, she said, is a ‘resilience hierarchy’, which moves from abstract resources to real one, from money to fossil fuels to land. When the national debt is looked at more closely, she said, 20% of it is money that we have lent to ourselves, so we could just wipe that off to everyone’s benefit. In terms of how to bring about change, she dismissed lobbying as a waste of time. The financiers have taken over the government, she said. Community action is very important. ‘Move your money’ campaigns are very important. So is reframing the debate to be around turning austerity into resilience. This is a situation that the Transition movement predicted and has been preparing for, and has much to offer. 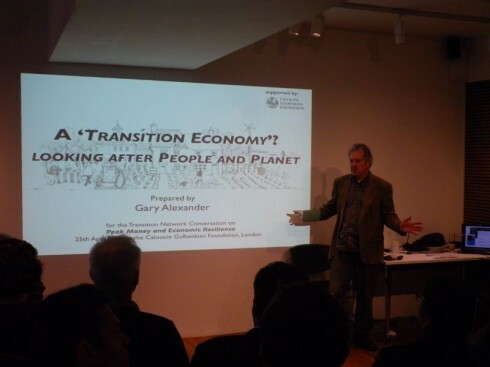 Gary Alexander gave a talk called “A Transition Economy: looking after people and planet” (you can download Gary’s slides here). From this point forward, he said, we need to create a vision that evokes a “yes”. We have to start to see that the real cost is not the same as the financial cost, that we need to also be taking environmental and social costs into consideration. Before people used money, it was generalised exchange or mutual support and not barter that was used in human societies, and this needs to be brought back into a Transition economy. We need not just projects, but the infrastructure that supports them. They should have distinct niches to provide stability and avoid competition. All of this built towards a proposal that we create a toolkit for a community exchange, with a local currency at its heart. Then there were three short talks, under the heading ‘Commentaries from Europe’ which gave a sense of how the economic situation is playing out on the most affected countries in Europe. First Filipa Pimentel talked about Portugal. Portugal, she said, is a country of 10.5 million people, with around 13% unemployment officially, but the true figure is far higher. The average salary is €800 per month, and the minimum wage is €450. At the same time, supermarket prices are the same as in the UK. There has been an 89% rise in unemployment in the last 3 years. In Filipa’s region, 25% of families are now below the poverty line. It isn’t about whether collapse is going to happen or not, people are already adapting to it. There is good news though, she said. Transition is spreading fast in Portugal, partly due to being based, from the outset, on the idea of the ‘gift economy’. All films and events are offered free. It is felt to be vital to decouple Transition from money. It raises the question of what are people willing to give, and is resulting in lots of exchange. It is creating ways to feed people, with Transition working like a charity, any money being used to create structure. They work with local government, but they never ask for money, just for sharing of resources. She has found that the economic situation has meant that people are more open to new ideas, and that at the local level, people are very concerned about the environment, and about ‘peak land’. Phoebe Bright works with FEASTA in Ireland, and lives in the south west. Ireland, she said,is a very conservative nation, used to being the underdogs. There is almost a sense that we’re back where we deserve to be, she said, that during the Celtic Tiger years “we lost the run of ourselves”. The thing that no-one really wants to consider is that we might not actually get back to ‘normal’. Events keep knocking their confidence. “Who can we trust?” she said. There is a feeling that the politicians have let people down. The recent Tribunal on political corruption showed far-reaching levels of corruption. People knew there was some, but not to the extent revealed. Listening to Phoebe Bright skyping in from Ireland. Irish banks have been given €63bn. Allied Irish Bank, for example, was given €23bn, 99% of which was loaned by the State, but it is still not lending to businesses. Small businesses are finding it hard to find work, and if they do then they struggle to get paid for it. Tescos supermarkets have spread all over the country, and Ireland, Phoebe said, is their most profitable country. The suicide rate has doubled since 2007. Where she lives in West Cork the farmers are doing OK (especially those that didn’t borrow too much during the Celtic Tiger years), there is some money there, her local town is still active, but that’s not the case everywhere. Food growing and new food businesses are a big thing, and the IT sector isn’t doing too badly, but there is little money for new goods. So while there are a few positives, the overall picture is grim. Johan van As gave a perspective from Greece. Things have moved there very quickly he said. Greece has been in recession since 2008. There is now 50% unemployment among the under 30s. For those people who do have jobs, many have experience cuts in their salaries of 30-40%. This has led to a huge liquidity squeeze, with demand for goods and services imploding. The country is in a state of shock. Johan was there recently, and said that it felt like the calm before the storm. On the buses in the cities, the drivers don’t bother to check anyone’s tickets as an act of passive resistance. All the positive reports we hear about Greece, he said, should be read with the view that it is not talking about the mainstream. It looks in the upcoming elections that the Green Party will get one seat, great news until you also see that the fascist party look set to get about 10. There has been an explosion in buyer co-ops, there is at least one new local currency, there are new allotment schemes and an explosion of interest in food growing, but driven more by necessity than green concerns. Economic hardship is catalysing innovative thinking, but the prevailing school of thought seems to be to throw the police and the bankers in jail and leave Europe, not that practical as a solution to the complexity of the issues. This was followed by a Q&A session, and then a tea break. I introduced the next session, called ‘So where it Transition at?’ I talked about how I get sent a lot of books that are about peak oil, economic collapse and so on, that at the end say “but there’s this great thing called Transition that might sort it out”… this puts a lot of pressure on Transition, and it feels like we have achieved a huge amount in 5 years, but the aim of the day is to look at how we might reframe things in this context. There is some amazing work emerging in Transition now around the creation of new economies, and it feels like where all this is going. Fiona Ward (you can download her slides here) gave an overview of REconomy, Transition Network’s initiative to help Transition initiatives their capacity for creating a new economy. 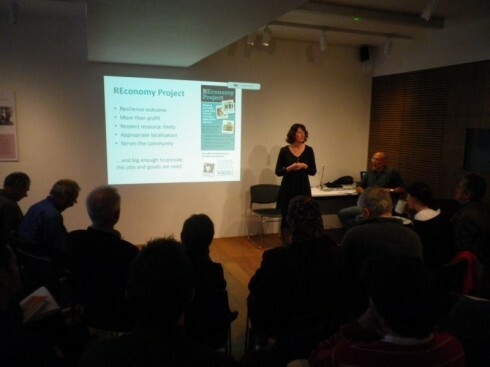 At the moment REconomy is working with 10 Transition initiatives around the UK. There are 4 parts to it, Leadership, Vision, Transforming businesses and starting enterprises. 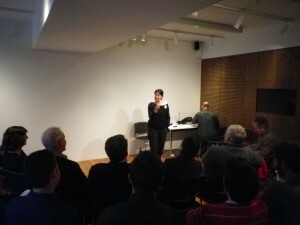 As a microcosm, she talked about what is emerging in Totnes. REconomy is seen as the ‘Engine Room’ for a new economy for the town. The process is seen as cyclical, going from ‘Get inspired’ to ‘Get help’ to ‘Get money’ to ‘Give back’, and then round again. She talked about the work underway to create a model whereby people can invest into the Transition economy, a fascinating and vitally important piece of work. She finished by saying that the day before the 2012 Transition Network conference, September 13th, will be a day dedicated to REconomy. 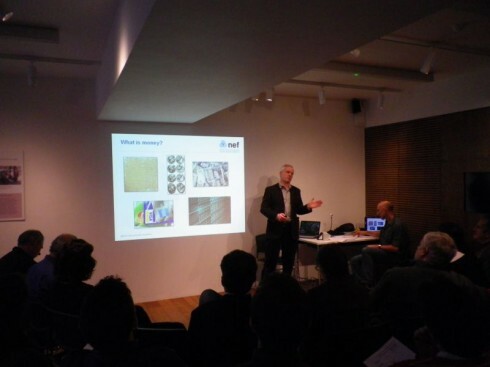 She was followed by Ciaran Mundy of the Bristol Pound (you can see Ciaran’s slides here). He talked about how most local currencies so far have been printed notes only, and that a few of those, most notably the Chiemgauer and Berkshares, have been very successful, but it has been a significant limitation for others. What has been developed recently by Transition Network, nef, QOIN and others has been an electronic currency, and the software has now been made available to anyone. Bristol is a good scale for a complementary currency, it has a strong identity and good social capital. Their initial target is 300 businesses accepting it and 1000 account holders in time for the launch. People then divided into groups. Here are a few of the findings from that. One group looked at stories, and felt that we need to get new stories about Transition as an alternative out there, and to show that there are other options. We need to be telling stories of positive alternatives. They also stressed the importance of stories from our past. 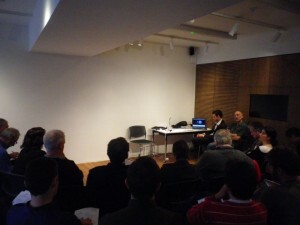 The second group looked at the gaps in what Transition Network is doing to respond to the economic crisis. Thoughts included that one key gap is the degree of confidence people feel in understanding economics as it is presented in the media. As an organisation it is also limited in its capacity and needs to think about how to resource telling its story better. One thought was to work to include the local economy more in resilience planning, asking what thinking has been done in terms of cash resilience, i.e. what happens if one morning the cash machines don’t work? Another group looked at what we have learnt from 5 years of Transition. One point was that still most people aren’t aware of it, and we need to work hard at making it more attractive. It may be a good blueprint but we are working from low levels of awareness. Although the label can often be very useful, and can bring a holistic take on things that are often not viewed in that way, it can sometimes be problematic. The last group looked at the need for a common strategy, and suggested that people already have values, it is just a case of bringing them out. We should also, it was stressed, really acknowledge and celebrate all that has been achieved over the past 5 years. What does a Transition response to these times look like? What might government do in response? How can the business sector respond, and what would it look like if it gave its support and shared its skills and expertise with Transition groups? Who else do we need to connect with and how to we reach them? 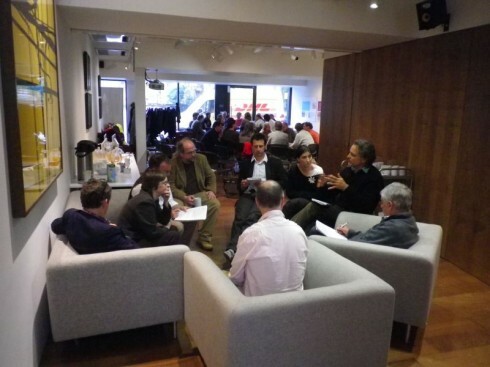 Develop responses to cash resilience, perhaps with your local emergency planning group. If there is no cash, then what? Collaborate more with others like Timebank UK to tell positive stories about economic resilience. And that was that. Most people went to the pub to continue conversations, some people ran through the April showers to get trains home, and people felt stimulated and full. There was a call that we should do this more often, perhaps 6 monthly ‘Thinky Days’. Sounds good to me. Thanks to everyone who made it happen, most notably Peter, Eva, Justin, Gary, Ciaran and Jules, and with deep gratitude to the Calouste Gulbenkian Foundation and Marmot Charitable Trust who sponsored the event. If you tweet, the hashtag #peakmoney will guide you to the tweets from the day. By way of a couple of appendices, here is firstly, the day’s framing statement, and secondly the recommended reading (and viewing) list that was circulated in advance of the meeting. The sudden disruption of the financial system, which became apparent in 2008, is affecting many people already. However the greatest impacts of ‘peak money’ may yet unfold. ‘Peak money’ could change many aspects of ‘normal’ life, from the personal to the governmental level, much as peak oil and climate change do, but in a much more abrupt way. The Transition movement needs to think through consequences and responses. What are we doing in our communities to create economic resilience and where are the gaps? What might our response be when governments make sweeping changes in services or propose draconian measures? The purpose of the day will be to begin to develop a ‘toolkit’ of ideas and information for others in the Transition movement and kindred spirits to use and add to. It could also be a starting point for similar meetings in other places, networks and groups around the world. 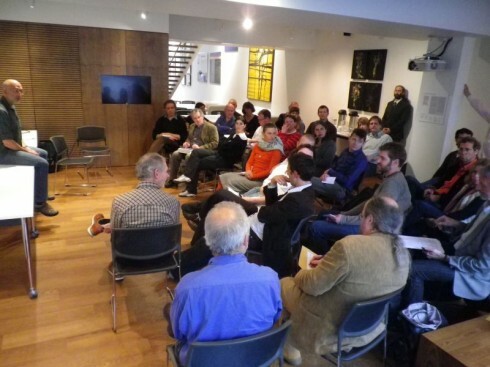 We will gather information from a range of sources inside and beyond the Transition movement, consider and evaluate these and create proposals for the wider movement, then disseminate this as the start of a larger and wider discussion around the movement. The emphasis will be on the positive and constructive: What can we do in our communities? However, we will also include background information on what has happened in the past in response to financial crises (e.g. Argentina, Iceland) and some basic background on the nature of the economy to help us evaluate constructive ways forward. Thank you, Rob, for taking the time to write this up. The day sounds fantastic and I only wish I was there, too. Thanks Rob, for such a complete report so quickly. I found the event exciting and inspiring, and did some great networking. I am especially interested in that first outcome, that we should prepare a ‘local currencies toolkit’. I hope it will actually offer more than local currencies: a basis for a community exchange. Perhaps we can pilot it with some of the groups in Portugal, Greece or Ireland that really need it now. One minor correction: the hyperlink to the article ‘Local Money Creates Wealth Outside the Bubble, by Mira Luna is wrong and should be http://www.shareable.net/blog/local-money-creates-real-wealth-outside-the-bubble . I too really enjoyed the day, and learned a lot there. Thinking back on how powerful the oral reports from Transitioners around the world were, I wonder whether there is scope to record such and put them up on Transition Culture from time-to-time?? Sounds like a very useful day, shame local London groups weren’t told about it – we may have been able to add something to the pot too. Thank you so much Rob, a great service to all. Many of the insights are societally motivating. They used to say what Italy does today the rest of us will do tomorrow. But now I think we must consider that Greece’s predicament may be everyone’s future. So, I’m asking my friends, What should we do with our financial structure and relationships if in fact this becomes the case? 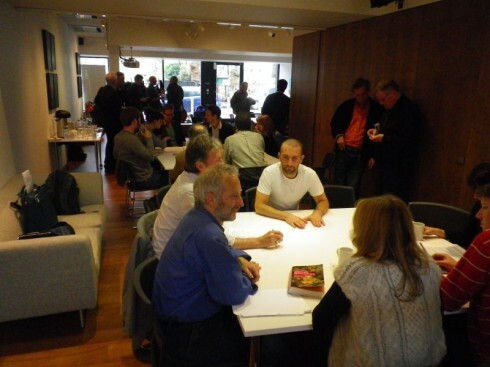 A group of about 40 members of the Totnes community – in partnership with Transition Town Totnes and Schumacher College – held a similar dialogue and workshop around community exchange earlier this month. We were asking how we as a community can go beyond the current money system to truly and creatively meet our needs. Indeed, just as with ecological resilience, diversity is the foundation of economic resilience, so we have used the notion of a ‘polyculture of exchange’ to explore how different forms of exchange (traditional local currencies like the Totnes Pound as well as systems such as LETS, timebanking, and the gift economy) can be used to cooperatively meet different needs within a community. As Gary commented above, local currency is just one way of facilitating something far more important – the bonds of community. My main concern is that Transition works to promote a model for local currency which is not resilient! Collapse in a financial system has historically led to either hyperinflation – printing presses full speed chaps – or depression where the money supply simply dries-up in a deflationary spiral. In either case, the problem IS the currency and “backing” your local currency to the national currency is no solution at all. Molly Scott Cato alluded to this issue and I hope it was discussed in detail. Would be interested to see pick up links to such analysis if anyone has. It sounds very interesting, and very timely considering the events in the eurozone. 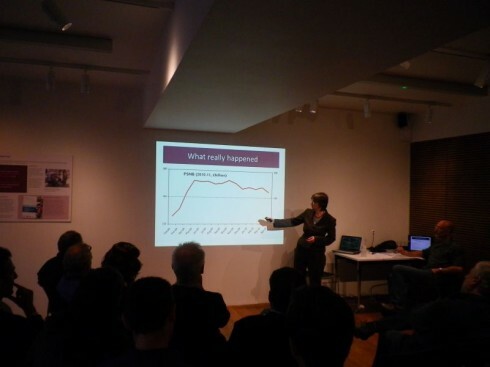 Do you think there would be interest in me returning to the transition towns conference this year to give people an update on what is going on in the world of finance? Essentially the music is stopping in the giant game of musical chairs we’re all playing, and Europe is the focus. 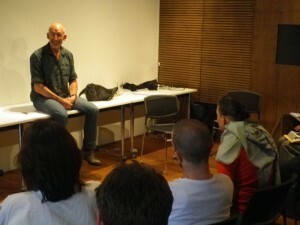 I’m just finishing a 10 week lecture tour of Australia and NZ, mostly organized through the transition movement here. The response has been overwhelming. There’s so much more to say than two years ago, and it’s been possible to catalyze a great deal of action by bringing people together all over Australasia. I’ll be back in Europe for the summer if anyone would like to get together. I’ll be visiting many countries and I like to be useful. Contact me at stoneleightravels@gmail.com. Thanks Rob for this tremendous summary. My two bitcoin’s worth concerns Gary’s timely and important idea of a ‘local currencies and local exchange toolkit’. 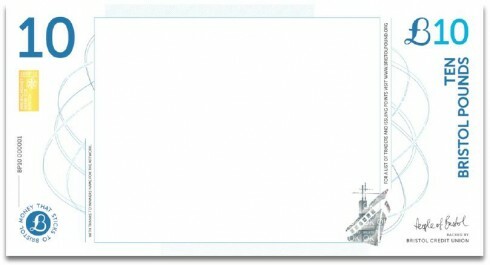 Like many readers here, I suspect, I have an impressive library of books, pamphlets, reports and links on all things open/new/alternative money. These sit next to my collection of design process ‘method cards’; the latter represent the condensed expertise of some tremendously expert people. I actually *use* neither set of documents. So, when we discuss toolkits, please may we also discuss how these toolkits will be distributed, demonstrated, and used? I Could a case not be made for training up a cadre of travelling – well, trainers? A toolkit accompanied by a couple of human beings would have a much better chance of being adopted and used. John Thackara’s comment hits the nail on the head! Thanks John. To develop this toolkit we need pilots, and those should be from places that are already trying to do this informally, so we are supporting what they are doing and need. That probably means places in, say, Portugal, Ireland, Greece or Spain where there are strong Transition Initiatives and where people have no jobs or money. There we can help them to pool their resources, with a toolkit that helps them find out who needs what and who can offer what. And we can offer a system of organised favours and also local currency, as well as conventional money to help lubricate the exchanges. Once these are up and running, they can provide the wandering advisors that John suggests, to help other similar communities. By the way, I will be returning to England and Ireland for another lecture tour. If any transition towns initiatives would be interested in having me speak to them, please let me know at stoneleightravels@gmail.com. skintnick has a good point. As far as I am aware, all current local currencies are tied to Sterling. If Sterling inflates, so does the Totnes [insert name] Pound. Gold, despite one’s first reaction, would be a good base for its stable supply, indistructability, resistance to inflation, but it is subject to speculatory pressures themselves caused by instability of the financial system and thus not a good hedge against it. Energy and food have the advantage of both being essential commodities, widely available and subject to domestic production, which is a plus point. But some kind of a statistical basket would have to be created to avoid any deviations due to variability in individual products. Which leaves us with human labour. Although labour rates vary, calculations of average wage is routinely published, so exchange rate to Sterling can be readily established – but crucially the new currency (call it Transition Pound) would not be tied to Sterling, just have an exchange value to it, which would vary with time. To make it quite clear in public mind that ‘Transition Pound’ is not the same or even closely related to Sterling, we should not try to make 1TP = £1 even approximately. Some professions may well charge more than 1TP per hour, others less. TP would currently have an exchange rate of about £10 to 1TP, and increasing with inflation. This btw means that your TP savings would go up in value and buy you more as time passes. From that it is of course easy to calculate the TP price of any commodity and thus allow it to be used in shops and personal trading. What do you think? Where are the flaws? If 1 unit of local currency (let’s call it a “heart”) is defined as representing 10 minutes labour then 6 hearts (1 hour) = £6 approx. minimum wage and rough parity with Pounds at the outset. Stonleigh, i’m working with the TN’s REconomy Project and would love to see you on REconomy’s day of the TN conference. I’ll speak to the rest of the team and hopefully get back to you with an invite. With regard to the discussions around currency toolkits. I’m wondering if an org like NEF might have the resources to pull together the toolking in conjunction with relevant TN ‘experts’ and then ttandc/REconomy/Transition Training then has the structure to support the training element? This is amazing what conversations are happening in Transition. We are running a day at Occupy London next Saturday called #ConnectTheDots – a 350.org global day of action. 5th May is Climate Impacts Day and International Stop the Tar Sands Day. and Money (concentrations of wealth in corrupt profit-making institutions, and a New Economics of wellbeing). We already have speakers confirmed from Eradicating Ecocide and UK Tar Sands Network, and a speaker from an impacted community on the front line of Climate Change. Very important work being done here indeed! A great effort. However, I did not see in the report any discussion about the Iceland example, one that all the austerity countries should look at, nor anything about separating out the real economy from the paper-based, casino-oriented financial sector, nor returning wealth creation to the people and sovereign banks, instead of continually supporting commercial banks. They use us to bet wildly on our futures, a small percentage siphoning the benefits, but expect the population to bail them out when they lose. Surely, an economic transition will involve taking back our common wealth from the commercial banks? Or would taking such a project on scare off too many people on the margins of becoming involved in the Transition Movement. 1. Local currencies – It is true that current Transition currencies are based on the pound sterling. Under present circumstances that makes them much more attractive to local businesses, who can accept them and then if needed, convert them back to sterling. They are good at closing the loops and building a sense of community. However, they do not create new, additional money. In a deep recession or after a crash, when people are very short of money, a mutual credit currency, like LET’S, would be better. With it the supply of money expands and contracts as needed, so is never in short supply. It doesn’t have to be based around anything like gold or energy. It is just a medium of exchange. 2. My proposal for a community exchange based around a local currency: see the slides from my talk, https://www.transitionculture.org/2012/04/27/a-report-on-peak-money-and-economic-resilience-a-transition-network-one-day-conversation/garypeakmoneydaytalk/ which include my presenters notes. I too would love to see New Economics Foundation take this on. 3. Lessons from Iceland: There is a link to a good paper on this in the background readings above, so yes, it did inform the event, and their were articles about Aregentina and reports from Portugal, Greece and Ireland. And real economy vs money system? I think most people there agree with that. Many thanks for the invitation and the hospitality. @Gary, @John I’ve been working 4 years on the software components for your toolkit. I’ve made a sort of build your own barter network. And my latest offering is to network all the existing sites together. My org, Community Forge is mentioned in Mira Luna’s article, above. I think it’s important to distinguish between the transition pound model, which creates no new money, but simply tries to trap some legal tender in the economy, and the mutual credit model, where the amount of money created depends on how much trust and productivity there is in the community. A toolkit may not go far enough. Community Forge offers a free, hosted ready-rolled solution for LETS. And I’d like to do the same for a more business oriented network. Maybe then it would be possible to get paid. @Matt Ciaran’s presentation in London indicated I think that Transition Currency 2.0 was going to revolve around Cyclos/ Monea for now. I’m not sure if anyone has done an evaluation of what you have done at Community Forge compared to this approach – if they are alternative approaches or could be complementary? @Graham Yes all the attention and money is going to Cyclos/Monea for now and if NEF could show how even theoretically, it provides a net benefit, I would be more supportive. Localising Sterling is little more than a PR device which hopes to support localisation of the supply chain. What we need more than that is for communities to issuing their own, new, credit, backed by local productivity of local businesses. Monea software can do that very well with help from large foundations and specialist programmers. My approach is much more about empowering local communities to manage and maintain and customise and govern their own money systems. The subject needs to be treated mindfully by a broader base of expert users than we have now. Therefore, could a session be arranged at this year’s conference? Its agenda could be: a) how to choose the right tools and b) how to share the knowledge of early adopters who actually use them on the front line. The format war exists in business barter networks. An open source approach to business barter would help this to scale. Community Forge have plans for work in this space, but need support. Cyclos/Monea and CommunityForge are delivering for their respective communities/clients. Yes, there needs to be analysis of what currency designs are suited to what, and what software systems are appropriate. My view is that open source needs to be more than in name, i.e. the open source system deployed needs to have a large (global) community of potential engineers who can maintain software development. The Transition currencies at present do not address the monetary cause of our multiple crises that is found in private issuance of money as debt at interest. They have other aims. If they are to help in the problem I just mentioned, then they would need to add “virtual” mutual credit equivalents to their local pounds, which would be notionally equivalent, but not convertible. The argument that mutual credit systems are not attractive to local businesses is not water tight. It depends on the situation, how the system is set up, and the communications. For instance, Switzerland has an equivalent of 2 billion swiss francs per annum circulating in its mutual credit business barter system, called the WIR. The idea of a travelling group of community currency experts is already happening with my colleague Matthew Slater. The idea of a toolkit is already there with my colleague John Rogers. And I believe Qoin and others also have many similar tools. So, its more a case of how to support whats already happening. One reason this is a great thread is that I now begin to understand, for the first time, the difference between local money tied to the pound; local money issued by communities that is *not* linked to the pound; and “a system of organised favours”. Gary states above that “you need the community to understand and be fully on board first”. Am I wrong to suspect that 95% or more of people looking for economic alternatives are as unclear as I am about these important technical differences concerning money systems? I don’t have an answer, but this question bugs me a lot: how do we foster money literacy (along with ecological literacy) on a mass scale? However, “education” is one approach that can come from a mistaken starting point that reflects the assumptions of people who have been working from a mindset that “people need to wake up” and “if only we had more funding to tell them what they should be doing”. I say that because there is already desperate need of real independent currency systems in places where national money has evaporated e.g. Greece. Communities that suffer a large contraction in money supply are not interested in or able to use systems that require bank-debt to buy local currencies that in turn require charitable funding and entail additional transaction costs (i.e. the current Transition currencies). For example, a few months ago, an alternative currency was introduced in the Greek port city of Volos. Their central market does not require euros. From jewellery to food, electrical parts to clothes, everything is on sale through a local alternative currency called TEM. If you have goods or services to offer, you gain credit, with one euro notionally equivalent to one TEM. You can then use your TEM earnings to buy whatever else is being offered through the network. The whole system is organised online, with members holding TEM accounts. It is a form of mutual credit, where everyone can issue or earn credit, without the need for a loan from a bank. Everyone can exchange as much as they wish, without it being restricted by availability of Euros, and everyone ends up returning to zero, so no one makes money out of issuing the currency or charging interest. The mayor of Volos supports the project and thinks it can co-exist with the Euro. The current Transition pounds attend to different needs (or desires? ): a need for encouraging local trade and an aim of expressing a self-identity as a conscious local eco-citizen. They are designed to appeal to people who choose to participate in an alternative currency for reasons other than immediate necessity. As such they require a large marketing effort. Difficult immediate circumstances, like the one in Volos I just mentioned, reduces the need for, or ability to participate in, lengthy discussions (“processes”) or proportionally large investments in marketing (“outreach”) compared to actual implementation activity. People innovating currency or exchange systems in such circumstances need active support not spectators or educators with an intellectual interest in the broader field of monetary reform or currency innovation or local sustainable development. So the paper I’m presenting with Matthew Slater at the Tesla Conference in Croatia this summer basically calls for clarity about what problems we seek to solve with our currency efforts, combined with support for the people who can benefit out of necessity, right now, from well-designed currency initiatives (or support for those who are working with such people). Education, designed to meet the different audiences, like those I outlined above, will be important, but it needs to be in the context of a very action-oriented approach. @Jem A robust assessment of the situation that I entirely agree with. Further I think it is unfair to expect mass ‘education’ and I dont expect the man in the Volos street to talk about reclaiming the monetary commons, even if this sort of thinking is useful to me. You dont need to understand the internal combustion engine to drive a car, you just need to be taught to drive. @Jem @Graham I’m not sure that anyone here is proposing a focus on mass education, donor-funded or otherwise, at the expense of support for live experiments as they emerge. But it cannot be a healthy situation if only a half dozen incredibly smart people in the world really ‘get’ the difference between the different forms of local exchange. If the rest of us remain unclear how different (monetary) propulsion systems work, how are we to choose which vehicle to drive, and in which direction to drive it? Really enjoying this thread. Keep it up folks. Good points from Graham about local currencies mostly accompanied by a directory, which is a clear step towards the kind of community exchange I was proposing. Are there any existing systems that include some kind of a ‘generalised exchange’? Encouraging favours without trying to quantify them? What about incorporating ‘real costs’? Feedback from custom/client to supplier and vice-versa? And my vision of a toolkit, while certainly including software, also would need a lot of support on the social side: How to work with communities and businesses to get them to understand and join. So, a big YES to the education strands above. On the format wars, surely we need variety. How could we say one approach is universally better? And any interest in any of the other proposed outcomes of the day? @Gary yes there are plenty of systems encouraging exchange or goods and/or without accounting i.e. gift economy. and many more generalised community building platforms for profit or for love, which include sharing components only ever with hard money accounting. Some of them have feedback between participants, or other kinds of social ratings. Regarding formats this is a new fields and we would expect to see a variety of scopes and formats emerging. Ideally the best one would emerge but that’s not how our current capitalism works. Big money tries to control and close the formats and end up with a monopoly that everyone else has to pay to be part of. In Lancaster The Ethical Small Traders Associationhttp://lancasteresta.org/ and the Catalyst Project at Lancaster Universityhttp://catalystproject.org.uk/content/catalyst-projects-round-1 are currently working on a buy local loyalty smart card which also rewards busineses and customer for practicing increasingly sustainable behaviour. It also doubles as local virtual currency using LM3 principle to keep track of hor much and where the money flows and re-circulates within the system. The prototype system will be trialled this summer. Fantastic thread, thanks to all for very illuminating posts.